The Baylor Libraries Data Scholar Program is a series of hands-on workshops designed to help increase your understanding about digital research methods (techniques), hardware and software tools, and available data sources. Who is participating in this program? 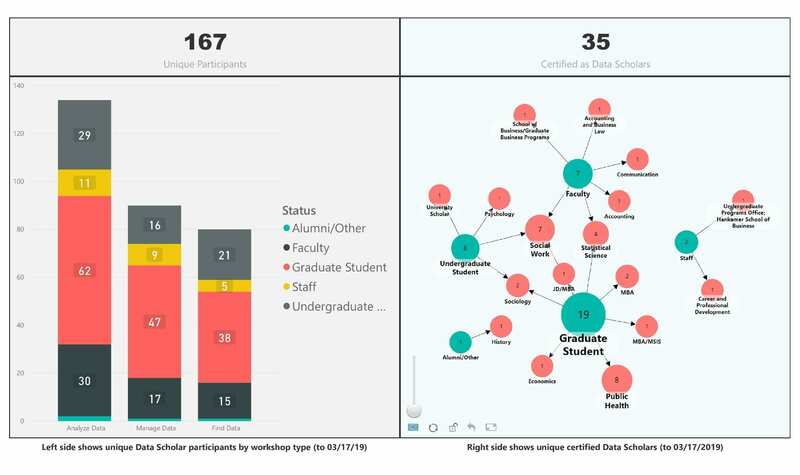 And who has become a Data Scholar in our first year, 2018-2019 (as of 03/17/2019)?